In this series of blog posts, we discuss some more advanced topics relating to “argument completion”. Previous blog post covered supporting the parameter context and improving performance using argument caching. It is possible to provide argument completion for your own modules (and other) using the TabExpansionPlusPlus module. Here’s some code on how you could hook in from your own module. Debugging a custom completer can be a little confusing. One simple way to debug is to set a line breakpoint in your custom completer and then call TabExpansion2 explicitly. 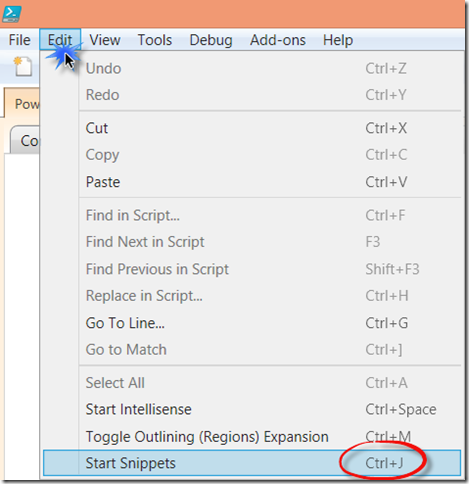 Included in the module TabExpansionPlusPlus (v1.1) – based on contributions from the Dutch PowerShell MVP Bartosz Bielawski – are code snippets from building argument completers. I have also provided some extra extensions which are only available on GitHub for now here. Unfortunately, in the recent updated version 1.2, these ISE snippets were missed, but you can still find them here. Just copy the Snippets folder in the TabExpansionPlusPlus module folder. All you will need to create is an additional helper function to provide the “completion results”. Step 1 – Create an “Argument Completer” function/scriptblock (that will provide the list of valid argument list). Step 2 – Register the “Argument Completer” for the command with the specific parameter using the above function/scriptblock. By creating the helper function New-CompletionResult (see below), you can remove the dependency on the external PowerShell module TabExpansionPlusPlus. This function is responsible for building the list of argument completions/results. This function (or scriptblock) will be invoked every time that auto-completion is invoked. This command registers your custom argument completer function with the appropriate PowerShell commands and parameters. The cmdlet Register-ArgumentCompleter is built-in starting from PowerShell version 5 and so does no longer require the external PowerShell module TabExpansionPlusPlus. IMPORTANT: The only gotcha is that the cmdlet does not have a parameter -Description. So remove that from any existing code. This entry was posted in PowerShell, Toolmaking and tagged TabExpansionPlusPlus. Bookmark the permalink.